Following the breakthrough success of his 2017 Mercury Prize-nominated debut ‘Yesterday’s Gone’, rapper Loyle Carner continues in a similar vein with his second album, producing another commendable effort comprised of his customary heartfelt sentiments. The album is bookended by poetic dialogue between Carner and his mother Jean, with the former initially giving his take on growing up, moving out and finding love, while his mum reminisces on their relationship to this point. This continues the trend of the family-orientated subject matter that has become common in Carner's work, endearing him to many listeners. Other elements that were key features of his debut resume during 'Not Waving, But Drowning', specifically the musical assistance from Tom Misch on the enjoyable 'Angel' and Rebel Kleff (in addition to Kiko Bun) via 'You Don't Know'. Both these songs are good examples of the album's distinct sounds. 'Ottolenghi' (with Jordan Rakei) and 'Carluccio' follow in the relaxed, mellow path laid by 'Angel', while 'Ice Water' and 'Sail Away', much like 'You Don't Know', bring a quintessentially boom-bap character to the piece. To hear Carner stay true to this sound is refreshing, as he could have easily been tempted to transition into other (perhaps more popular, at the moment at least) hip-hop sub-genres. The album's most notable moments are when Carner steps out of his comfort zone: think 'Desoleil', 'Krispy' and 'Looking Back'. 'Desoleil' – on which he enlists Sampha as support on the hook – sees an engaging change of pace and delivery from the rapper, something that perhaps could have been out to good use further, throughout the project. 'Krispy' is an open letter to one of his closest friends and frequent collaborator Rebel Kleff, revealing the tough times their relationship fell on, and (although we're used to hearing personal accounts from Carner) this has the air of something acutely deeper. Similar can be said with regards to 'Looking Back', on which Carner's analysis of his racial identity provokes some interesting thoughts on the mentality of a mixed race person. Although 'Loose Ends' features a chorus from Jorja Smith, it’s actually one of the more underwhelming moments on the project, which is unfortunate – the link-up between the two rising stars is inspired, in theory. 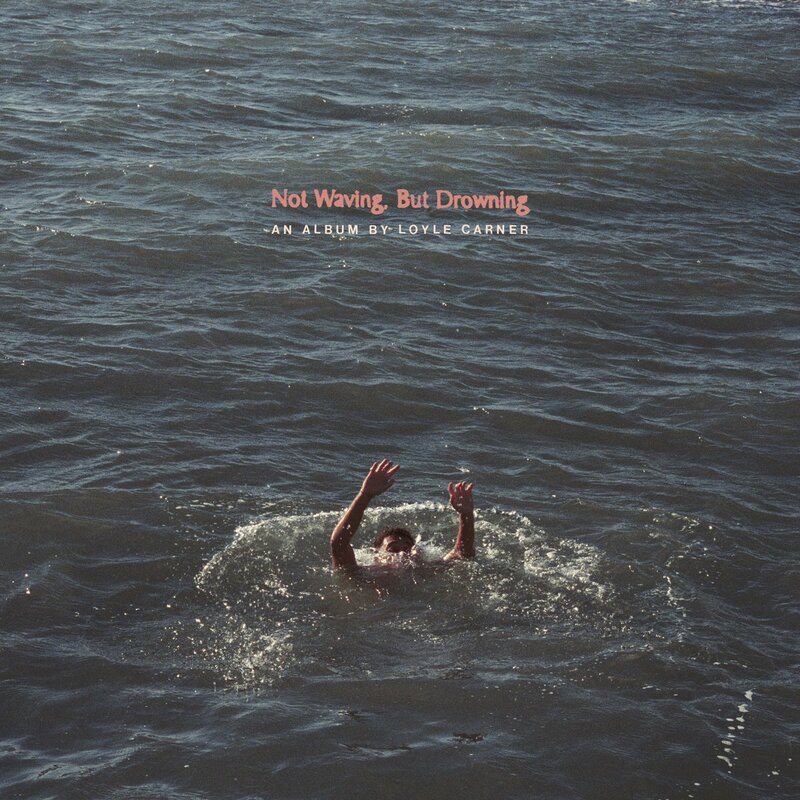 'Not Waving, But Drowning' reopens Loyle Carner's intimate story and the rapper consolidates his place among the many promising musical talents in the UK at present. He’s managed to successfully replicate the feeling of genuine emotion and human connection that drew listeners to him and his music on his first album, with his second likely to be just as prosperous.